Dover is a pretty fishing village with beaches, pastoral scenery and plenty of fresh seafood and produce for hungry travellers. One of Tasmania's most southern towns, Dover sits at the head of Esperance Bay and overlooks the small islands of Faith, Hope and Charity. It has attractive beaches and unspoilt scenery, while quaint cottages and English trees give the town an old world charm. The town is a centre for apple orchards and fishing for salmon, abalone and crayfish. Its Atlantic salmon fish farm is the largest in the Southern Hemisphere. 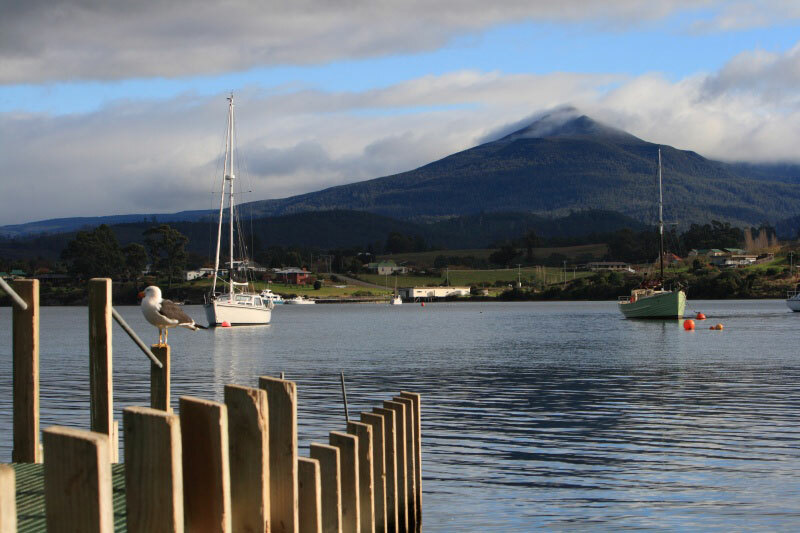 Dover is an ideal base for exploring the southwest Tasmanian Wilderness World Heritage Area, including the Hartz Mountains National Park, with its rugged mountain peaks, thick rainforest and picturesque lakes. One of the most popular attractions is nearby Hastings Caves and Thermal Springs. Also at nearby Southport is the Ida Bay historic railway, a 14 km journey through wildflower-dotted bushland and coastal heath to an idyllic, remote beach spot for lunch. Dover is an 80-min drive (83 km) south from Hobart.